While on a European trip this month I’ve had a ringside seat to globe-shaking events of varying proportion and import. I’ve witnessed national joy and pride soar and fall with Euro Cup Soccer wins and losses, as well as shock and devastation resulting from the agonizing terrorist attack in Nice, France. Add the rapid transfer of new leadership in England following the shocking Brexit vote to leave the European Union, and finally, the failed coup attempt in Turkey and the subsequent purging of any and all government opposition. Yes, it’s been an eventful few weeks. Now overlay all of that with tours of World War II sites and memorials in Normandy, France, the wealth and excess of 18th century Versailles, France, the ancient origins of classical architecture, mythology, democracy, and philosophy in Athens, Greece, and the stunning beauty of Greek islands in the midst of a failed and discouraged economy. The contrasts, conflicts, and human struggles are rich and tragic. Of course it’s all around the world. And all through human history. One is left to take it all in and try to understand it. Or one can merely experience it and be grateful we live in a relatively free society with modern perks and amenities. First, let’s address the premise. Are things really getting worse? If one considers the history of mankind, today may not be the best of times. But it certainly is not the worst of times. Of course, it depends on your perspective. Consider yourself an Athenian citizen during the invasion of the Persians in the 5th century B.C. when your beloved temples of pagan gods on the Acropolis were destroyed, then rebuilt, then destroyed again in the 17th century A.D by the Venetians in a battle with the Ottoman Turks. Or consider yourself living in squalor in the 18th century downtown hub of Paris while decadence, wealth and waste played out by the French Royals 12 miles outside of town at the Palace of Versailles. All the while rebellion in thought, art, religion, and politics was brewing to a boiling point all around you. Or consider yourself an innocent townsman or villager or dutiful English, French, German, Italian, Russian, or American soldier caught in a terrifying European countryside battle of the catastrophic global conflicts of World War I or World War II. Or a modern, young Greek worker living on 20,000 Euros a year and paying a 24% tax rate while living at home and caring for aging and pension-less parents with little hope for a future beyond their broken city or island. And by the way, this young Greek dutifully attends church weekly services spoken in a language not even understood. God is as real and alive to this one as an ancient iconic stone statue. In all of these scenarios it’s not difficult to understand the fear, the despair, the anger, the sadness, the loss of hope. In our modern scenario, what do we do with this? What should be the Christian’s response? Pray for Leaders – We are given a model in the Bible to pray for our leaders. As mortal men and women, they too have human hearts and minds that influence their decisions to be merciful and benevolent or self-serving and cruel, even evil. Leaders can be “Kings” that “do evil in the sight of God” or “good in the sight of God.” Specifically I pray for the rising up of good, benevolent, competent, God-fearing and God-knowing leaders. At the same time I pray for the exposure and destruction of corrupt, selfish, dark, evil, deceiving, and God-defying leaders. I pray that good leaders will prevail over evil leaders in all nations. That God will show mercy and remove darkness from power and replace it with God-blessed light; not perfection, but goodness, strength, boldness and a heart that honors God or can grow to honor and serve God with their God-given gifts and talents. Pray for Cities, Regions and Nations – We are also given a model in the Bible to pray for our own cities, regions and nations. God does not play favorites. Even the Hebrews/Jews were picked for a very practical purpose (the holy/human line of mankind’s savior, Jesus Christ), not because of any innate special or favorable attributes. The good news of the Gospel is for “all the nations” to be blessed. So we are all fair game. Any city, region or nation can be noble and richly blessed by God to prosper and live abundantly in this present age. So pray for the heart, mind, and will of the people, Christian and non-Christian, both local and abroad, to step up and open up to God’s relentless love and desire that “none should perish” but experience His goodness and favor and blessings that He will bestow on the obedient. Note: this is not proposing a theocracy, but merely a God-fearing/respecting society. Pray for Your Own Heart – There is also a model in the Bible for all of us as individuals, as humans, to love, follow, and honor God. We have no excuses. God has revealed Himself in the Bible and through His creation around us. And by the way, this is not about being a priest or minister or going to a far-off land to serve as missionary. That is a gross distortion of the Christ-following life. Seek and study God more. 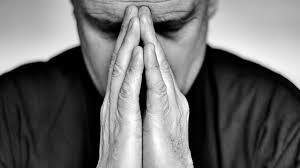 Pray for clear and humble submission of heart, mind and will and watch what will transform in your life. God will transform your perspective, not necessarily your circumstances. But that too is up for grabs for the one who whole-heartedly surrenders one’s will and control of life. The result is always better than can be imagined. So there you have it. Even in the midst of a lost and broken world, a simple formula for calling upon the most powerful force on this present earth to transform people in leadership, impact homes, cities, and nations, and blossom individuals hearts and minds and melt walls of hate, evil, and destruction.